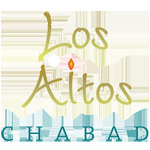 We are most excited to announce that we have received the permits needed to modify the Los Altos Chabad House to be a true space that will serve our growing community. This campaign will ensure that the construction is completed in the timeliest and most beautiful manner. We hope you will join on board with a generous gift of your own by clicking here. The cost for these renovations are $125,000, $75,000 of which has already been contributed. We are grateful for all those that have stepped up so far to make this a reality. The scope of this project includes. Conversion of the full 1000 square feet of the back to be properly insulated, upgraded lighting, doors, heating and air conditioning and a proper entry way / gate. Additionally we will be adding two bathrooms that will serve programs. Funds permitting we will be fixing up the landscaping adding in a Trellis for outdoor events and Kiddush Luncheons. We would love for you to join us in this endeavor and become a partner with us in reaching this goal through your generous donation. Click here to donate.